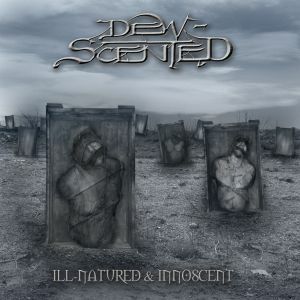 DEW-SCENTED - Relentless Thrash Metal from Germany - DEW-SCENTED » ILL-N. & INNOC. DEW-SCENTED - Relentless Thrash Metal from Germany - DEW-SCENTED » ILL-N. & INNOC. Re-release through Nuclear Blast Records of our early Albums “Innoscent” (Second Album, 1998) and “Ill-Natured” (Third Album, 1999) on one CD and for the price of one regular album. Re-mastered by Andy Classen at Stage One Studios, re-packaged with new artwork by Mike Bohatch and featuring 19 with the playing time of 77:42 Minutes as well as all lyrics, additional band photos and band liner notes! The original versions of both albums are sold out and won’t be manufactured anymore!